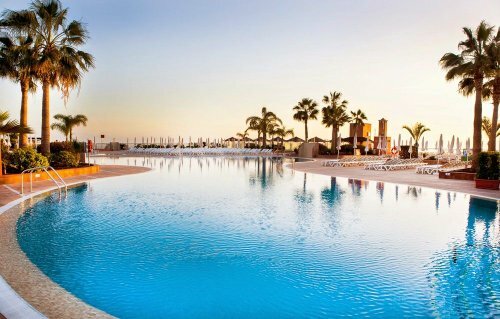 These are the best Tenerife All inclusive resorts for families or couples, recommended by guests that have enjoyed them. We have provided links to help you find some of the best deals. After a big renovation, this resort is wowing guests even more than it did before. It consistently gets excellent reviews. Highlights include 3 restaurants, indoor and outdoor pools, a poolside bar and a great full-service spa. More information on the Be Live Family Costa los Gigantes. 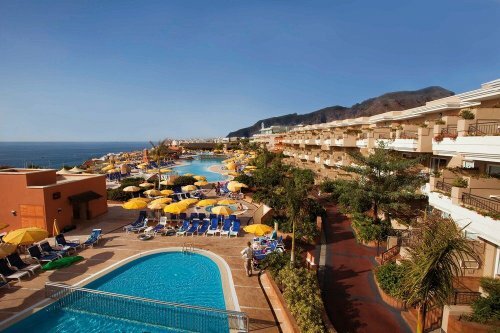 Guests rate this a quality four star Tenerife all inclusive resort. 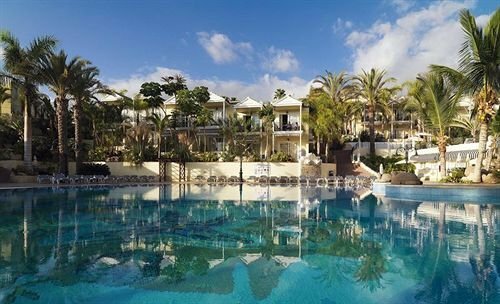 With very good to excellent reviews, The Melia Jardines del Teide has a restaurant, a poolside bar, pools, a spa, kid's club and much more. 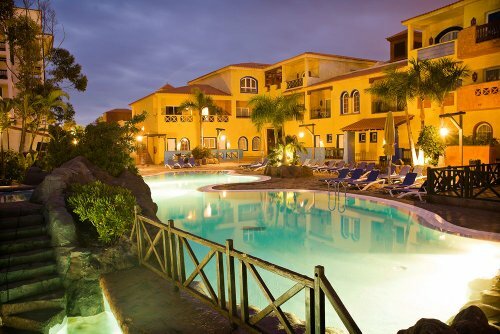 Located on Playa de las Americas in Tenerife. Highlights include 2 restaurants, indoor pool, rooftop terrace, nightclub, supervised kid's activities, game room and more. A renovation was completed recently and it seems to have gone from strength to strength. 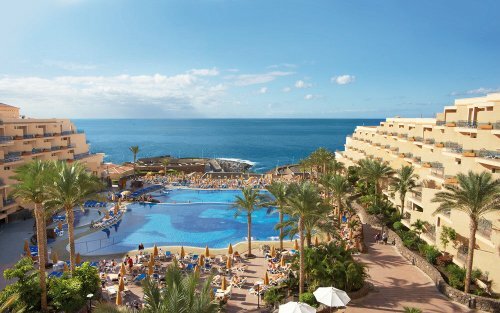 Great Tenerife all inclusive for the family with daily entertainment and RiuLand for the children. An excellent buffet where you can experience live cooking. Guests also liked this resort a lot and rate it very good more often than anything else. The free hotel shuttle bus to Playa de las Americas is also popular. With about 202 rooms, this is another good-sized resort like a lot of the others on this page. All the recreational amenities like indoor and outdoor pools, some great rooms with balconies in a good location in Puerto de la Cruz. Check the latest reviews for this one. Although this is often chosen by families because of the attractions of it's apartment facilities, this resort also does offer all inclusive packages as well. The resort is in Arona, Las Americas Beach. With restaurants, bars and a nightclub, the resort is sure to satisfy families and couples alike. And this resort does satisfy most of it's guests who report excellent vacations in the spacious rooms. 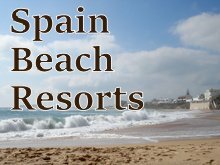 An excellent all inclusive resort with 480 rooms, 3 pools, 3 bars, 2 restaurants, a spa, and more. Reviewers love this spot. 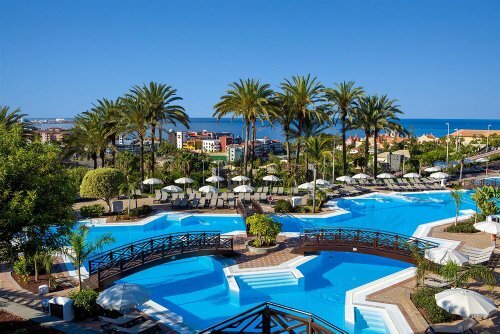 That's it for out favourite Tenerife all inclusive resorts. 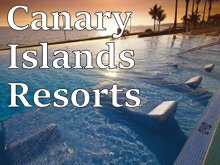 For more, see Canary Islands Resorts or Spain All Inclusive Resorts.